Facing problem with your windows PC performance time to time. There are so many ways which helps you to Speed up your computer. Slow windows PC take more time to respond to a user’s actions like opening files, surfing internet, copying or moving files and other important tasks. Today we will show you some of the best tips which helps you to can improve your computer’s performance. Do try these steps in a order to speed up your computer performance. Always try to clean your Desktop files, try to put those files in the “My Documents” folder. If there are so many files with big size, you can put them in separate folders on your drives. Create shortcuts on your Desktop for the folders or files you frequently use. This method will help you to free up the memory for your PC and also reduce the time and frequency the hard drive is used and improve the response of your computer to programs you open and things you do. With this simple and easy method you will make your computer run faster. We recommend this method to use this will help you to fix your windows system files. A Windows PC has lots of system file that perform different functions. Some time some of these system files has changed or become corrupted and that’s the cause of slows windows pc. If this happens to your windows PC, the speed of your system may decrease. By using the utility “System File Checking”, it will scan these files and fix any problem it finds. Every Windows computer is vulnerable to viruses. Viruses are the major factor of your windows PC slow performance. All these Spyware and Adware are programs created by companies to find out more information about customers, so they can better market products to them. All these spyware and adware can load into computer memory and slow down your PC. Here are 10 Best Anti Virus Programs of 2012 and Top Free Windows Antivirus and 10 best Free Online Virus Scanners which will help you to scan your PC. Whenever you install a new program in your PC, it creates connections between the program and the operating system. But most of the time you didn,t some of the programmes which are installed on your PC, they can slow down your system. So always try to uninstall unused programs, removing unused programs will free up space on your computer and may speed up your system’s performance. Do try this free app Revo Uninstaller to Uninstall Unused Programs. 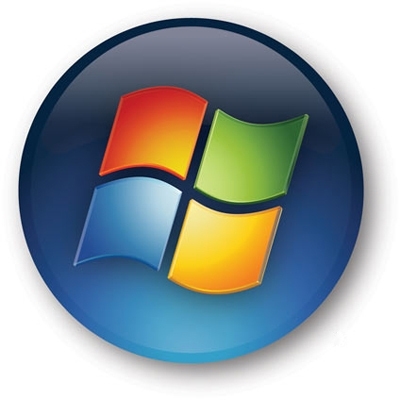 Windows provides a lots of interesting visual effects including animated windows and fading menus for operating system. If you do not have enough operating memory or facing memory problems, than these visual effects can slow down your computer. Adjusting or reducing visual effects can make a difference. 2. Type “msconfig” into the textbox and click OK (The System Configuration Utility will open). 3. Click the Startup tab (to see the list of items that automatically load with Windows). 4. Uncheck the box next to the program name you do not want to start with Windows. 5. Close this program and restart your computer. And use Safari web browser, it’s very faster . Opera is more faster for browsing. Nice ways to speed up computer speed. I am trying on my small Laptop pc. Thanx. The other problem is that tips are given, but very little instruction on how to perform those tips.